Treasure decides to interview Yi Chen for their new editorial on successful people in the city. Wen Ming’s replacement, Yi Jing is all for it and the rest of the staff gets on board. Yuan Feng takes this opportunity to gossip about how much Yi Chen makes. Everyone is all like woah he is so successful! Boss lady asks for volunteers to take up the editorial, and Yi Jing recommends herself because she met Yi Chen once during college so she is confident she can get an interview with him. Oh please, move aside! Xiao Hong jumps in and says Mo Sheng is the best candidate because she is VERY familiar with Yi Chen. Mo Sheng denies this and excuses herself from the meeting. Faced with no other candidates, boss lady gives the job to Yi Jing who is almost too pleased with herself. Aiyah, please, not another Yi Mei or Xu Ying! Yi Chen is still upset with Mo Sheng though so he refuses to be interviewed by the magazine. He also returns to his workaholic state, staying late at the office. Lawyer Yuan tells him about a work related event but assumes Yi Chen won’t go per usual. However, this time Yi Chen actually agrees to go, much to their surprise. Why does Yi Chen go? Obviously so he can drink some more of that Rio stuff, you know, the colorful cocktail they have been downing this whole time. Yi Chen drinks with everyone for a bit and suddenly decides to leave. Lawyer Yuan and Xiang Heng both suspect it is because of Mo Sheng. Of course it is! Yi Chen actually doesn’t go to Mo Sheng’s. Instead, he heads home and tries to get some work done but gets totally distracted by his thoughts. 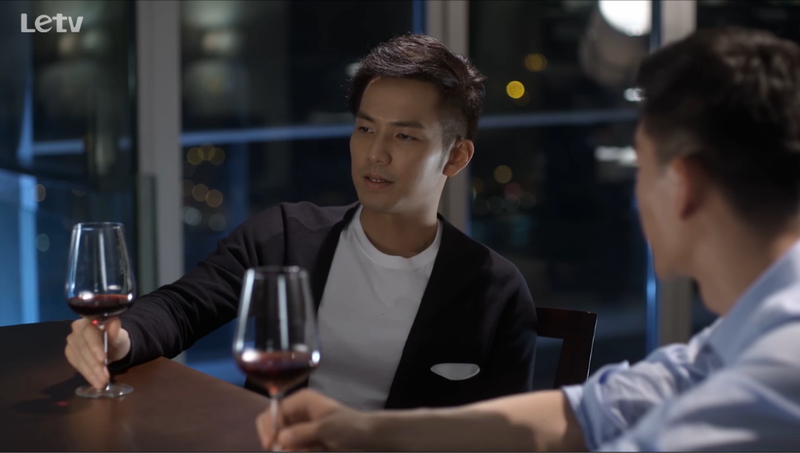 After a while, Xiang Heng drops by to check on Yi Chen and even brings a bottle of ’47 red wine. What a great friend! 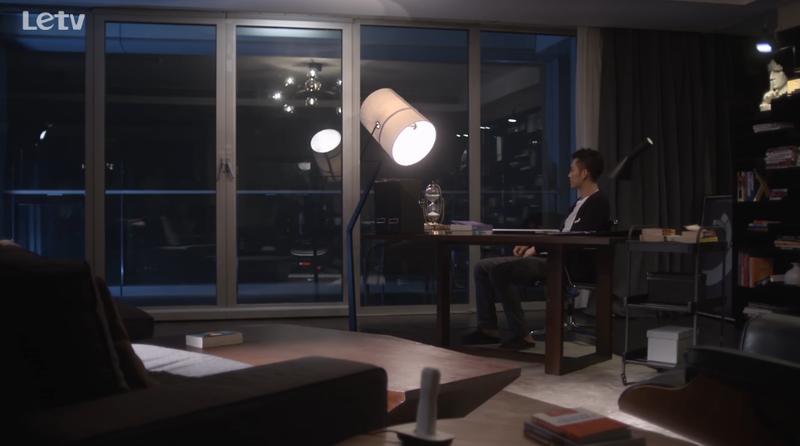 So Yi Chen goes to his kitchen to get some wine glass, but instead, he pulls out the tea set he bought last time with Mo Sheng and tosses the whole set out. The cups shatter. Oh the symbolism. Xiang Heng asks about Mo Sheng and learns that there is no progress. He tells Yi Chen that it’s his fault for being so stuck on Mo Sheng. He also mentions some woman he met in the elevator who seemed to be interested in Yi Chen. Yi Chen tells him he can go ahead and date that girl instead. LOL. Also, the boys switch over to rice wine because apparently Yi Chen thinks red wine is too weak and plus Xiang Heng complains that Yi Chen is drinking it too quickly. Ah, the bromance! Mo Sheng continues down the memory lane and goes to her hometown. She recalls the time when she asked Yi Chen for his phone number and he wouldn’t give it to her. Yi Chen: Winter break is really short, just twenty some days. Mo Sheng: But don’t you want to see me during the break? Yi Chen: You said you would be obedient. Wowwwww. Bad move, Yi Chen. 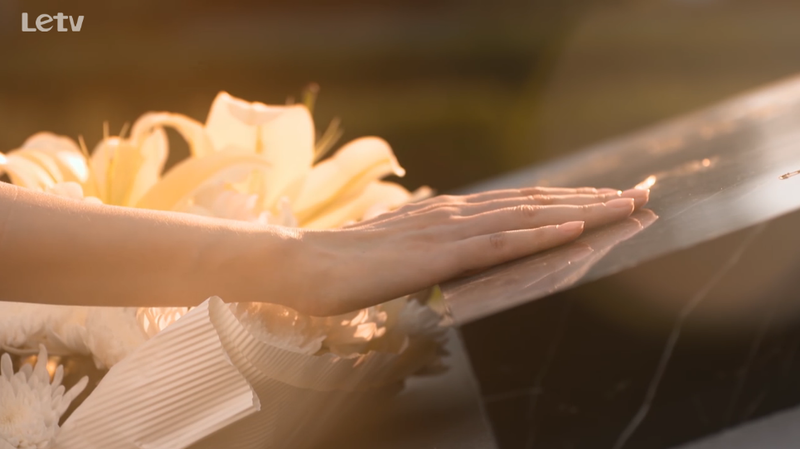 Mo Sheng finds out from Mrs. Huang where her father ‘s grave is and goes to visit. She confesses to her dad that she has been afraid to come back because she doesn’t want to face the fact that he hasn’t past. While he may have done lots of wrong things in his professional life, he was really a great father to his daughter. Mo Sheng tells her dad that Yi Chen wants to get back together, but she doesn’t think it’s a good idea because Yi Chen is much too good for her. Besides, she is worried that they have been apart for so long that if they get together only conflict will arise. Also, if they break up again she is not sure what will she do; at least right now, she is used the way things are. Mo Sheng comes back to the office and sees an interview of Yi Chen being played on the TV. During which Yi Mei asks if he is still single and he replies that he is at the moment, but he soon will not be. Boss lady and Yi Jing are watching the interview too and they both agree Yi Chen will be a great candidate for the editorial. Boss lady tells Mo Sheng that she will be in charge of taking pictures for the project. Yi Jing mentions that she is going to ask her friend who worked with Yi Chen before to help her set up a meeting with Yi Chen. Yi Jing invites Mo Sheng to lunch with Li Jie who is at the same station as Yi Mei. Yi Jing asks if Li Jie can help set her up with Yi Chen because she only MC-ed with Yi Chen for some show in college once and she doesn’t think Yi Chen still remembers her. (Yes, he doesn’t remember you; he only remembers Mo Sheng). Li Jie teases Yi Jing by saying that maybe Yi Chen remembers her after all because great beauties are hard to forget. Li Jie also tells Yi Jing to take this opportunity to get close to Yi Chen. Talk about awkward! Li Jie mentions that it’s really hard to get Yi Chen to do interviews; this time Yi Mei had to do the inviting herself in order to secure his time. Yi Jing asks Li Jie if Yi Mei can help and Li Jie says their relationship isn’t very close, but she will try. Li Jie remembers that two years ago when Yi Chen came for a show, he said does this count as standing in a very noticeable place. She also tells Yi Jing that Yi Chen was really concerned about the ratings that time so maybe he is not as recluse as everyone thinks. On their way back to the office, Mo Sheng and Yi Jing pass by the old university campus where some students are setting up a stage. 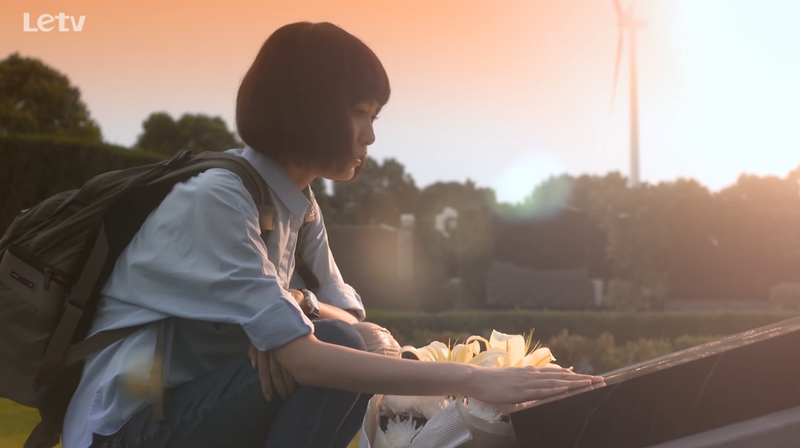 Mo Sheng recounts to Yi Jing a time in college when she and a “friend” got separated. When she finally found this “friend” she told her “friend” that if she still couldn’t find him, she will go stand up on a stage. Yi Jing asks why and Mo Sheng says it’s so that she can stand somewhere noticeable for him to find her instead. Awwww, Yi Chen was just doing the same! 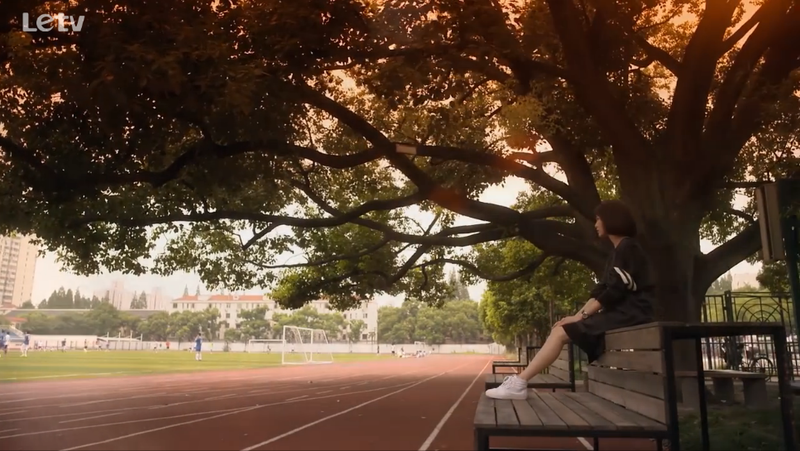 Mo Sheng revisits the school campus, missing Yi Chen and rethinking what he said the other day, including his invitation for her to return to his side and how much he hated her in the past seven years. Xiang Heng gets the keys to Yi Chen’s residence from Yi Chen’s office. Yi Chen asks if Xiang Heng broke the lock on his office door and Xiang Heng replies that he actually just knocked the door down. But wait, I don’t remember Yi Cheng having an office door? Ying Hui postpones his trip to China after hearing a news report about some investigation related to INSO. (News reporter’s English is terrible btw). His assistant also calls him boss, which just sounds mad weird.